NEW YORK – A technique to treat an irregular heartbeat that limits or eliminates patients’ exposure to radiation should be more widely adopted by physicians, NewYork-Presbyterian and Weill Cornell Medicine cardiologists argue in a new review article in Heart Rhythm, published in the June print issue and previously published online. They posit that the primary obstacle to the procedure’s widespread use – physicians’ discomfort with a different visual tool – can be overcome with training and experience. Atrial fibrillation (AF) is a condition that affects as many as 6.1 million Americans and is characterized by an irregular, often rapid heart rate caused by a misfiring of electrical impulses. Physicians commonly treat the condition using a minimally invasive procedure called catheter ablation, in which doctors insert thin, flexible wires into veins, snaking them up into the heart. Once there, physicians apply radiofrequency energy or freezing temperatures to eliminate the abnormal electrical pathways, restoring the heart’s regular rhythm. To guide this procedure, many cardiologists rely on an imaging technique called fluoroscopy that uses a continuous X-ray beam to visualize the heart. While effective, the technique exposes both the care team and patient to high doses of radiation. To accomplish fluoroless catheter ablation, the NewYork-Presbyterian and Weill Cornell Medicine team use technology that emits high-frequency sound waves, known as intracardiac echocardiography (ICE), to create a complete and precise image of the heart. 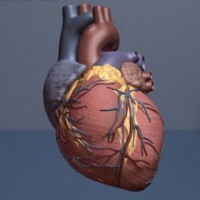 In addition, the use of computerized three-dimensional mapping systems and pre-procedural cardiac imaging can further guide the procedure. Weill Cornell Medicine electrophysiologists believe that physicians around the country can embrace fluoroless ablation of atrial fibrillation by challenging entrenched practices. “We are currently training our fellows to utilize this technique in an effort to guide the next generation of cardiologists to become well-versed in fluoroless ablation,” Dr. Cheung said.